No experience necessary! 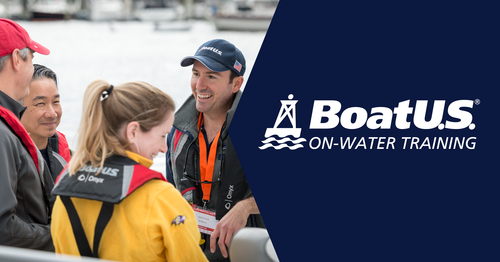 Whether you love boating and want to gain confidence at the helm, you're considering buying or renting a boat and want to learn new skills, or you're just curious about boating, the BoatUS Foundation has partnered with the Wharf Boat and Yacht Show and Freedom Boat Club to offer you the BoatUS Foundation On-Water Training program. It is a fun, easy, and affordable way to develop your sea legs!